Pollution is a problem that begins to be unsustainable. During the last years we have witnessed several fires that have happened around the world in the giant landfills. For example, last year in Toledo, the largest landfill in Europe with approximately 70,000 tons of tire began to catch fire; this tire cemetery covers an area of 117,000 square meters. Mountains and mountains of tires lying outdoors, where a human is insignificant, the only living beings that reign in these desolate lands are the rodents and the mosquitoes and insects that can be 4,000 times more dangerous those that nest in a tire than in nature. This type of landfill is dangerous to the whole world because in addition to release toxic gases at the time of its degradation, it is a nest for the creation of insects. In fact, in countries where they suffer from zika, which is a disease transmitted by mosquitoes, they recommend the elimination of these landfills so that these insects no longer prosper. In the town of Seseña in Toledo, Spain there was a tire landfill. In this place, happened what everyone feared, it caught fire. Releasing a great wave of smoke that could be seen on the horizon and the toxic fumes that burned the tires could reach many miles away. The inhabitants were desolated and worried. The worst thing is that many of them were not even aware that there was a tire dump in that region. The smoke could be seen for miles, and let’s not talk about the gases that spread throughout the region causing damage to its inhabitants and animals in these areas. Unfortunately, in the United States we are still not able to recycle all the tires that are annually discarded but we are starting to have a recycling culture where every day more people are aware about the problems that entail not recycling and the importance that has in the environment and our future that we begin to recycle. Tires are one of the products that are most produced, discarded and reused. The problem is that they are too many and creating pots or chairs in the garden is not enough to reduce the large polluting impact they are having in the world. To recycle tires, the first step is to verify that tires can be used as used tires. If they are not viable to be reused, we will grind them to separate the rubber from the metal, textile and other components. Depending on the product we will make is how we are going to separate them. To begin with the recycling process, the machine must break the tire into large parts, then into smaller parts and continues to destroy until they are smaller particles and we can be able to separate each component of the tire. The steel can be separated with magnets so that this metal can also be recycled. Old tires are introduced into machines that grind tires. The size of the pieces will depend on the use you want to give. – Derived fuel. This type of product is useful for industries such as cement, paper and energy. This is because the tires have large heat properties so they produce more energy than coal, wood or other materials. In the cement plants they are incinerated in specialized furnaces, where they use each part of the rim for the creation of their products. In addition, using this type of fuel helps reduce the use of non-renewable resources. Depending on the industry we can deliver our product without steel or without fiber. – Derived aggregate. 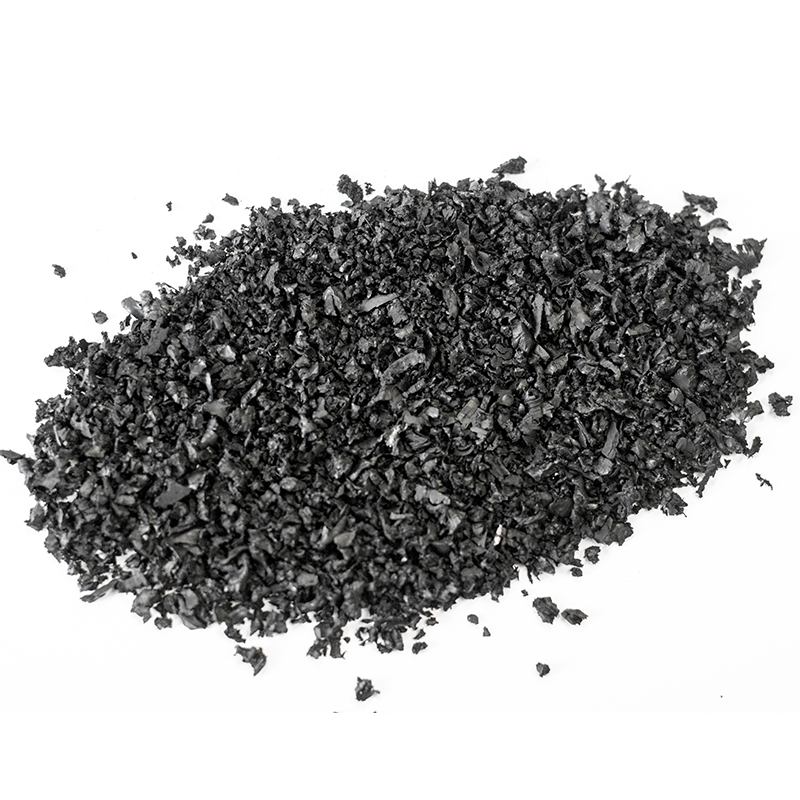 This product is used in civil engineering projects, filing the ground in constructions and every day is investigated other uses for recycling tires in order to have a greater impact. – Colorized rubber mulch. The raw rubber mulch is used for landscaping to improve gardens or sidewalks; we offer also rubber mulch painted in different colors to improve the view. – Colorized buffings. It has the same uses as the rubber mulch, but we cut the material in a different way. – Colorized crumb rubber. It is rubber granulate, but we paint it in order to install it in playgrounds for recreational areas or schools. – Granulate. This product is the rubber granulate without the painting, normally this is the base of playgrounds without any color, or for other products. The characteristic of this product is that has a smaller size. – Infill material. It is larger size of rubber granulate, and this is applied in the sport fields that uses artificial turf, is a different process from the other granules. All the products that we handle are recycled and they have great quality so that they can have other uses during the useful life of the tire. The rubber granulate is used for the creation of courts, new footwear products, for asphalt in road constructions, waterproofing, tiles, paints, acoustic insulation, athletic tracks, non-slip flooring, leveling fillers, mouse pads, pots , speed bumps, hoses, among others. At Globarket, we are suppliers of recycled tires for the creation of thousands of products and reduce our carbon footprint. We are constantly innovating in new products and investigating what other uses could be given to the tires so that we can reach a point where there are no abandoned tires in landfills. The goal is that all discarded tires can have an end use and not be abandoned for 500 years waiting for it to degrade completely. We invite you to know our page, and if you have any doubts about our services or products please contact us.